Peer trips to Israel connect teens to their Jewish identity, friends in the Jewish community, and their own views about Israel. Eligible teens can receive up to $1000 to make the transformative experience of an Israel teen trip more affordable. 2019 applications are currently closed. Check back for 2020. The Jewish Federation is committed to investing in a strong Jewish future, and since teens who participate in organized Israel travel programs are more likely to value their Jewish heritage, support Jewish causes as adults, and take on leadership roles in their communities, this is a worthwhile investment in a strong Jewish future – plus kids have the time of their life! Israel Lacrosse welcomes Jewish boys and girls high school lacrosse players to join us on our sixth annual Winter Service Trip, which takes place from December 22, 2018 through January 1, 2019. The group will take off to Israel on our group flight from JFK-New York to take part in one week of touring, volunteering, and lacrosse, including domestic competition with and against top Israeli high school teams. Visiting Israel during the formative teen years can ignite feelings of belonging like no other experience. To make Israel travel for teens more affordable, the Jewish Federation awards grants up to $1000 to eligible teens. If you would like your teen to strengthen his or her understanding of and appreciation for their Jewish identity, while exploring the culture of Israel in a supervised group just for teens, contact us ​for details about teen grants for Israel travel. Young adults age 18-26 are invited to see Israel first-hand, on a free, 10-day trip with a group of their peers -- compliments of Birthright Israel and its funders, including the Jewish Federation. 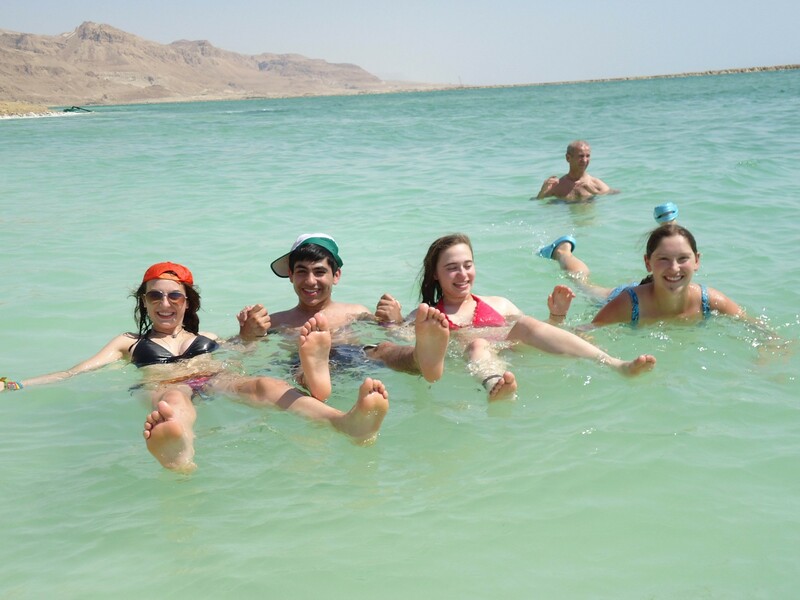 Birthright bonds young travelers to the people, ideals, natural beauty, and culture of our Jewish homeland in a way that stays with them forever. Helping children develop greater self-confidence, independence, empathy, and problem-solving skills, Jewish camp is a great investment in their future. Because young people who go to Jewish camp tend to stay involved in Jewish community as adults, it is also a sound investment in a strong future for the Jewish community – and the reason the Jewish Federation is proud to offer camp scholarships for young people with special needs. Jewish camps offer world-class athletics, arts, and specialties -- all wrapped up in a warm, values-based environment where young people connect with their Jewish identity and community. Scholarships can help children with special needs reap the benefits of Jewish camp, building skills and confidence, making friends, and engaging in Jewish life among a lively and warm community. Camp is not a luxury, but a lifeline for struggling families who need help affording safe and nurturing childcare when school is out for summer. Need-based camp scholarships can fill the gap.